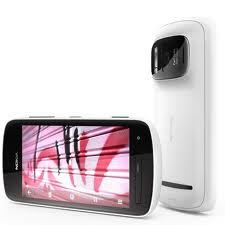 In a recent surprise, Nokia released a new smartphone, the 808 PureView which has a whopping 41 megapixel camera. The phone is about to be launched in Europe in May. The device released at Mobile World Congress in Barcelona runs on Symbian operating system. However, Nokia has promised to update the phone for advanced operating system by 2016. At 41mp, the phone can capture images to be further printed at “poster size”. Technology used in the phone condenses four to five pixels into one, and according to Nokia this is the USP of the phone. The phone is developed in a manner to be fixed into the pocket instead of replacing a full-size camera. The PureView uses a 1.3GHz processor, 16GB of storage and runs a 4" screen at 360 x 640, which is below HD resolution.